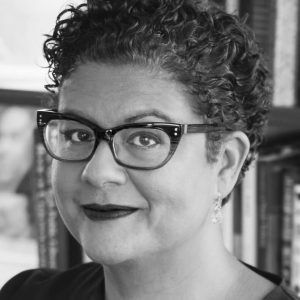 Professor Elizabeth Alexander is a memoirist, poet, essayist and playwright. In 2009, she composed and delivered “Praise Song for the Day” for President Barack Obama’s first inauguration. Her book of poems, American Sublime, was one of three finalists for the Pulitzer Prize in 2006. She was recently named a Chancellor of the Academy of American Poets, as well as the Wun Tsun Tam Mellon Professor in the Humanities at Columbia University. She previously served as the inaugural Frederick Iseman Professor of Poetry at Yale University, where she taught for 15 years and chaired the Department of African American Studies. She is currently the Director of Creativity and Free Expression at the Ford Foundation. Her memoir, The Light of the World, was a finalist for the Pulitzer in 2016.